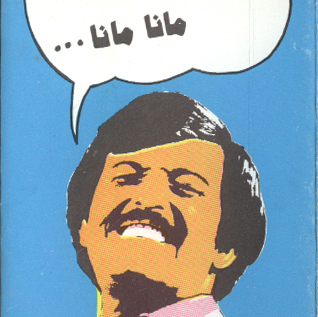 Samir Ghanem (Arabic: سمير غانم) is an Egyptian comedian, singer, and entertainer. He was a member of the stand-up comedy trio Tholathy Adwa’a El Masrah alongside George Sidhom and El Deif Ahmed. Their debut was Doctor Save Me, a short performance that introduced them to the entertainment world. He lives in Egypt. They presented the first ever TV show Ramadan Riddles. After El Deif Ahmed’s death in 1970, Ghanem and Sidhom continued under the same name (Tholathy Adwa’a El Masrah) until the 1980s. Samir Ghanem used to host a show on OTV called An Hour With Samir Ghanem. While George Sidhom retired years ago due to a brain stroke, Samir Ghanem is still active and is still producing plays.